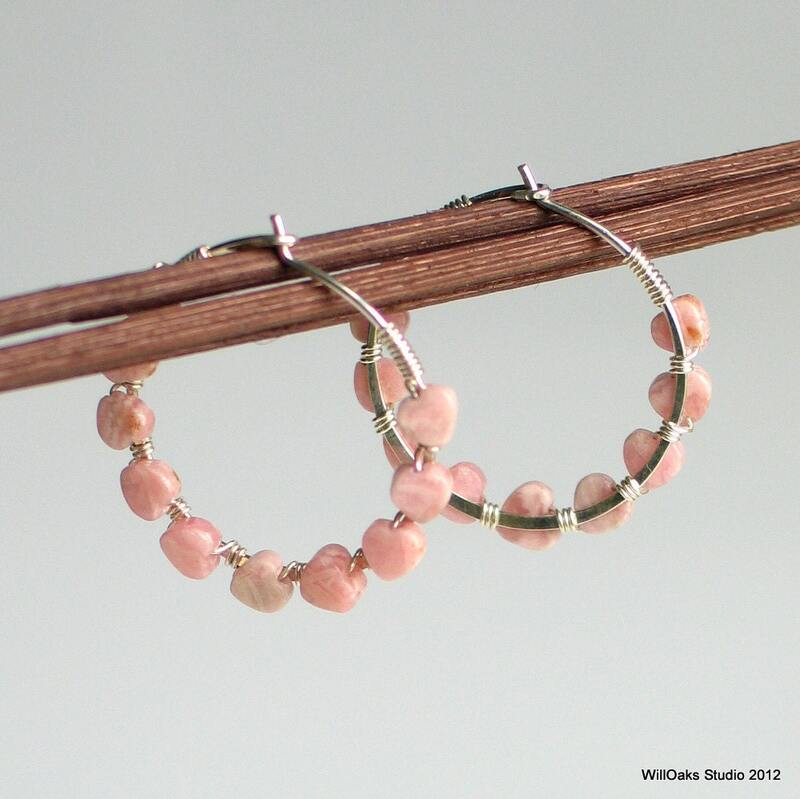 Hand formed & forged sterling hoops wrapped with tiny pink stone hearts to show your love to the lady in your life--or wear them to show the world that YOU are loved. A perfect gift for Valentines, for Mom, for BFF-you get the idea! 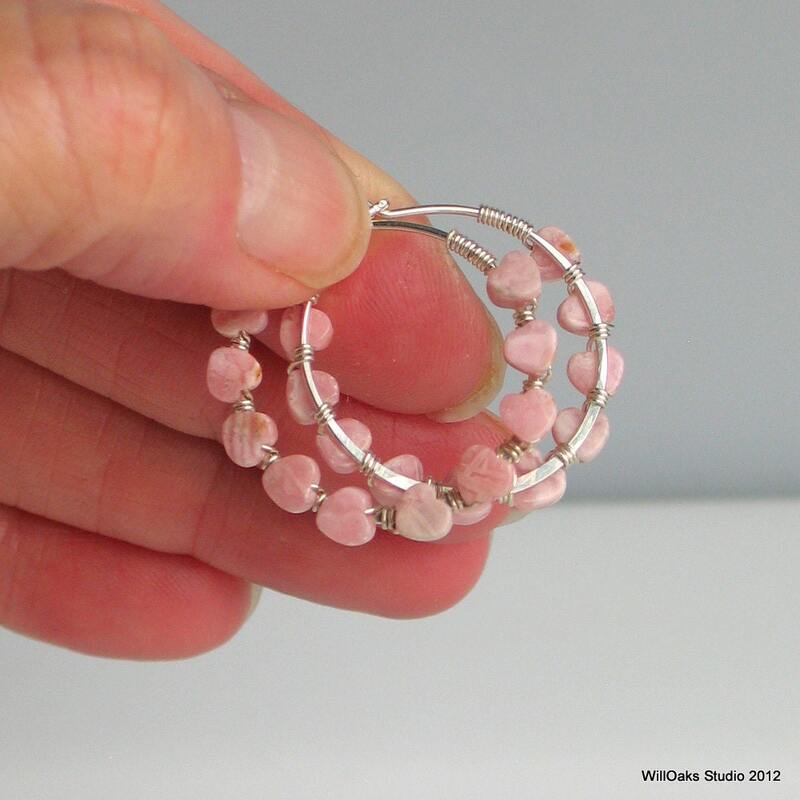 Tiny 3mm naturally pink lacy rhodochrosite hearts are carefully wire wrapped to handmade silver hoop earrings. 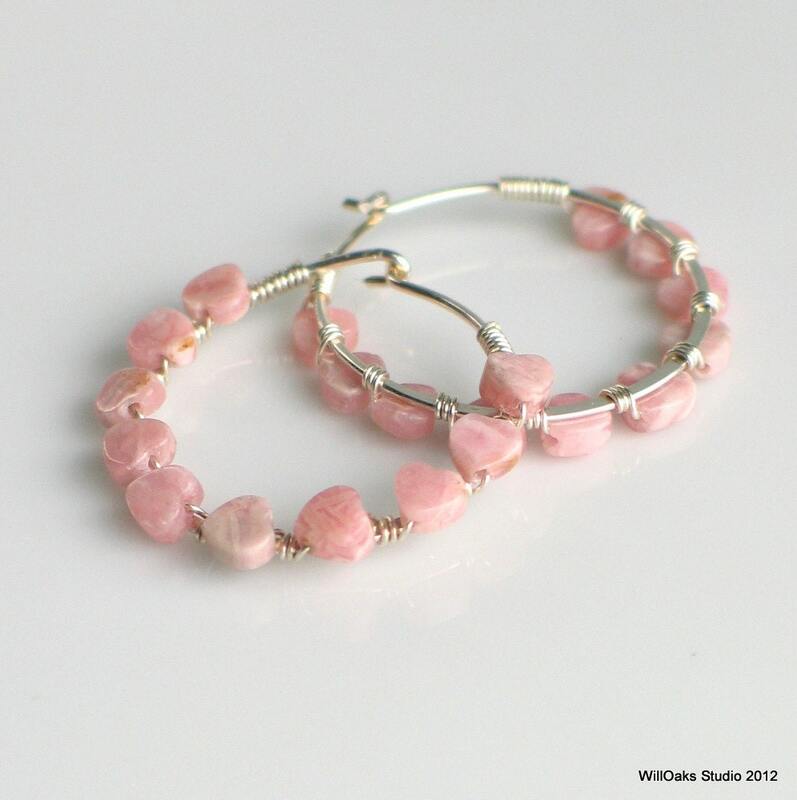 These hoops definitely have a front and back, but I designed them so that either side looks good and is finished. 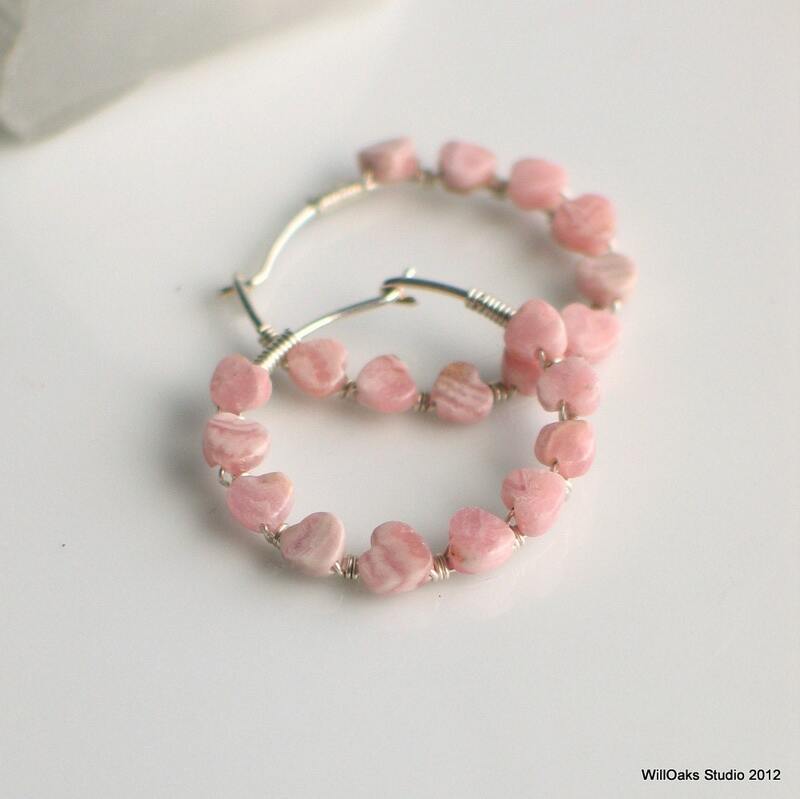 This natural pink stone has such sweet details up close and the total design is dainty and romantic--plus completely original. This could be a perfect, original and affordable Valentines gift, wedding gift, birthday gift or Mother's Day gift--such a creative way to show your love. 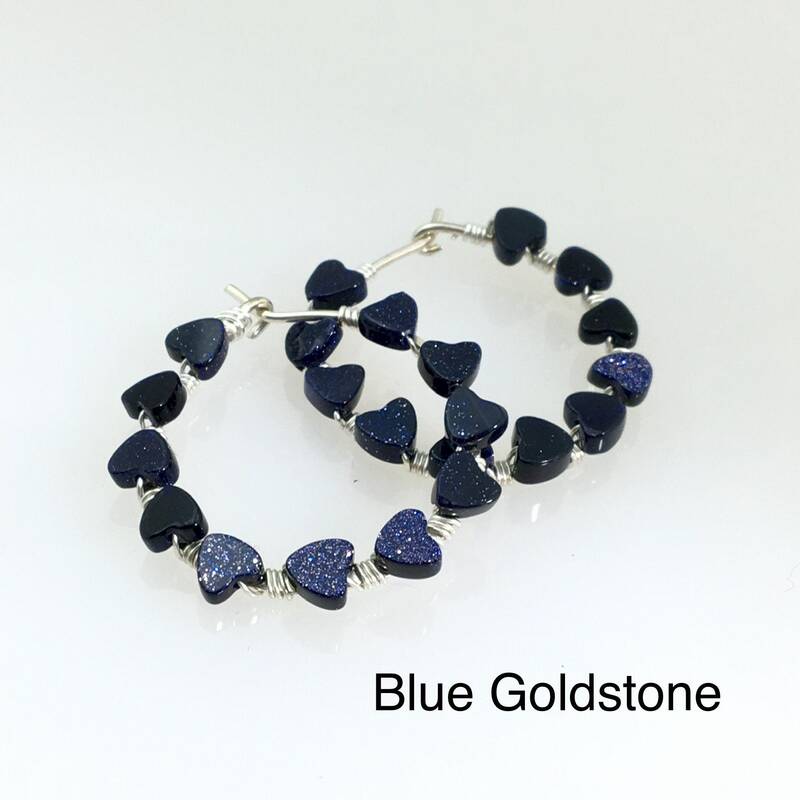 These hoops are just over 1" diameter and have been formed to have a flattened profile so that the hearts are bound to one side. Very lightweight and comfortable to wear. I guess when I do designs like this, I'm showing my hopelessly romantic side--and I just love hearts (and have no explanation for this, but I try to control myself, really!) 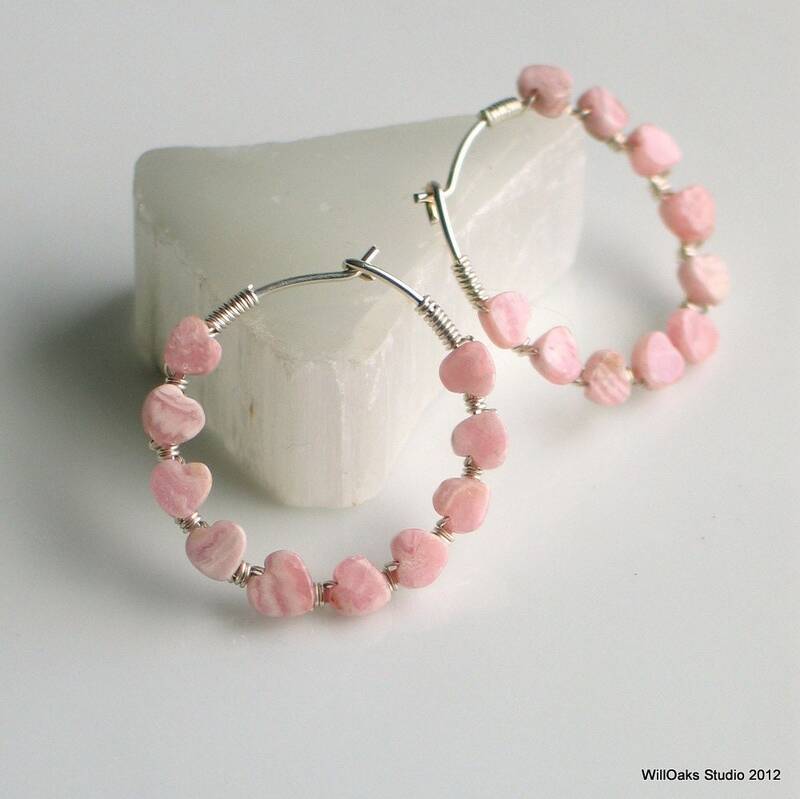 Pink is such a pretty color--and these stones are completely natural so have some variegation when looked at closely. These are made to order so can be created with 14-20 gold filled wire or dark oxidized sterling silver as a custom order--drop me a note if you're interested! 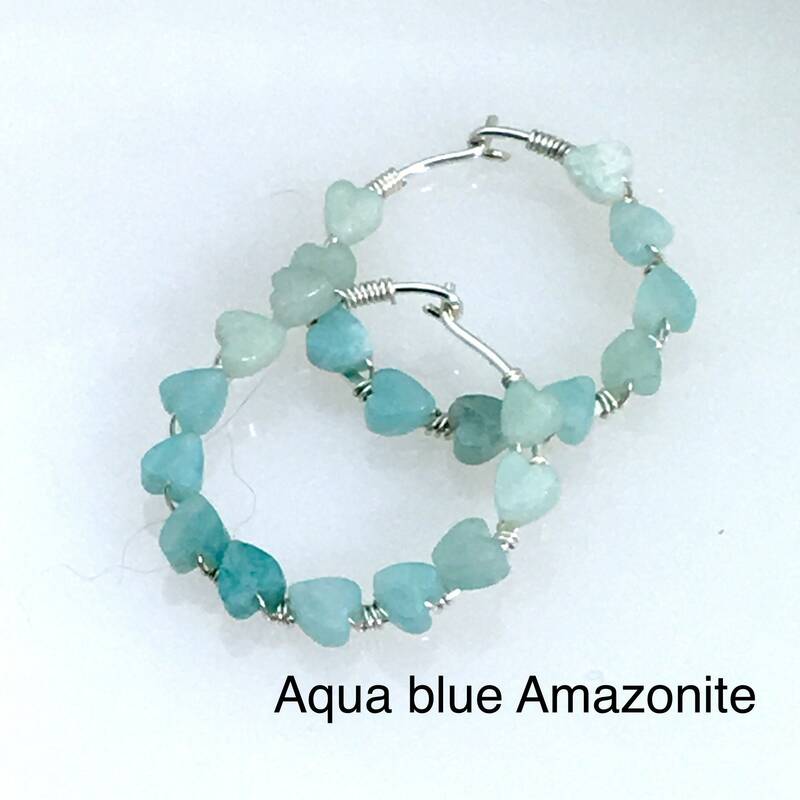 I found tiny hearts in amazonite (aqua blue) and blue goldstone (Navy Blue) and added these to my offerings! 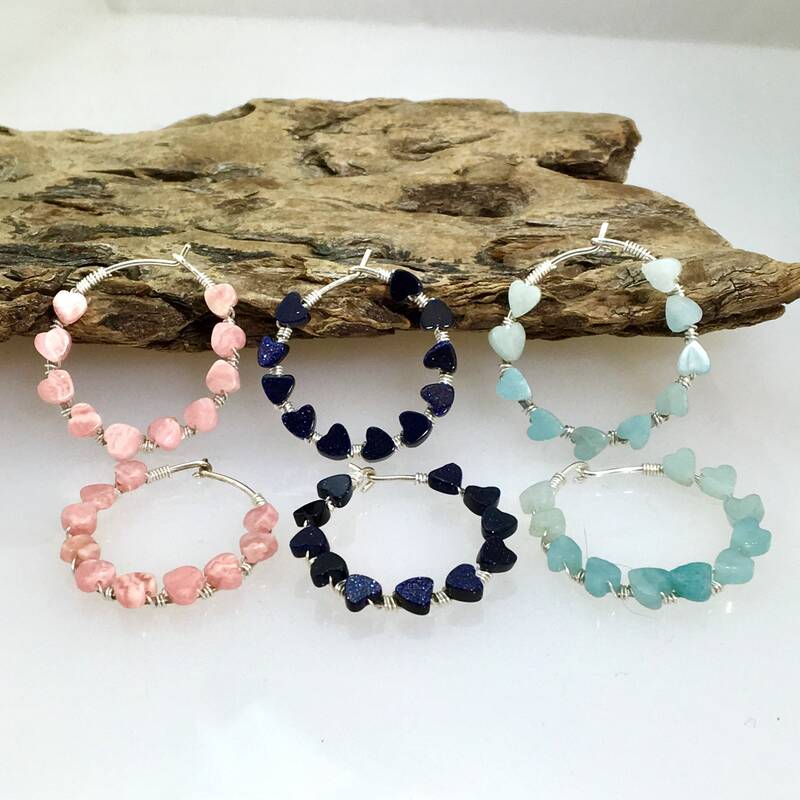 Cutest little earrings! Super lightweight and a nice pink color! Love them so much! Thank you!